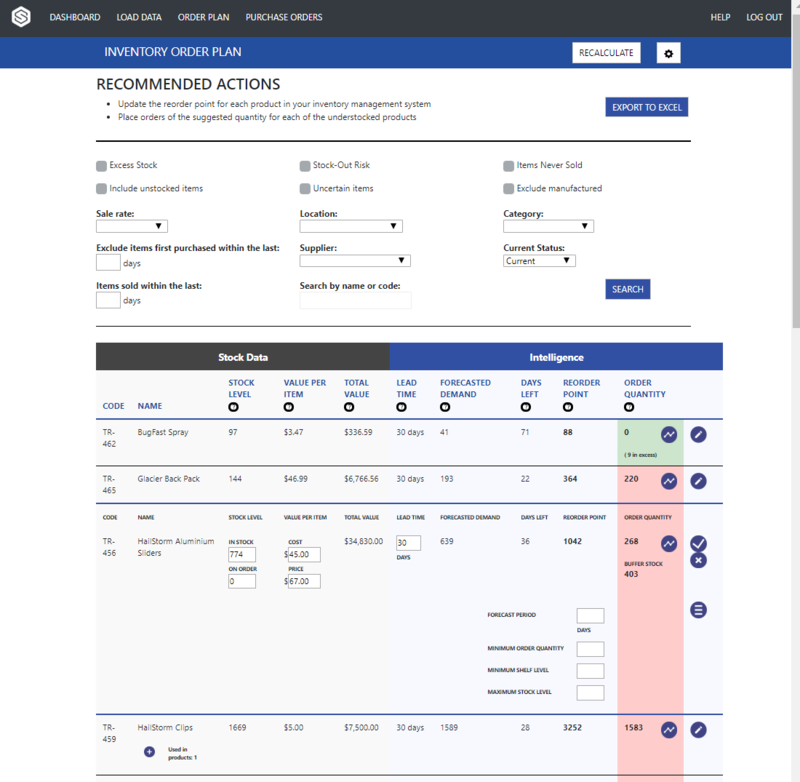 Easily see what areas to focus on for immediate ordering and over-stocks. 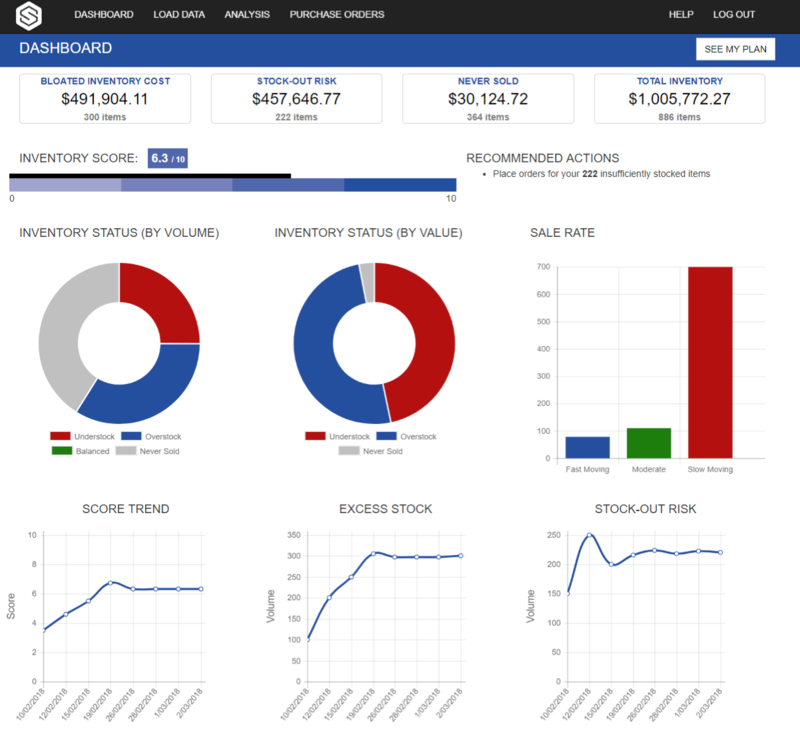 Have a clear summary of your inventory at a glance with our stunning dashboard. 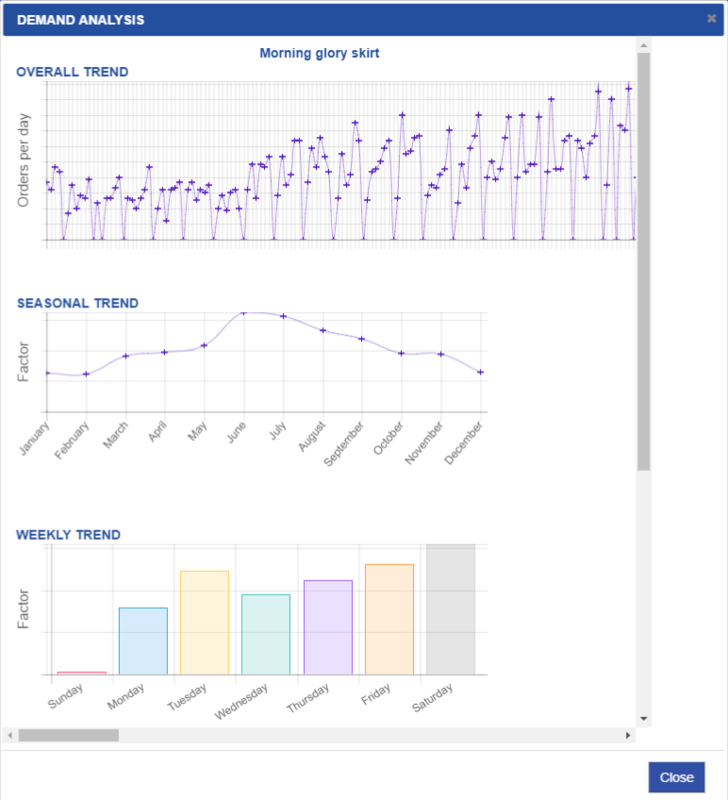 Have the ability to see a detailed break-down of your trend analysis so you can be confident in the predictions. Easily see how much you need to order right now, so that you don’t get cut short, or accidentally order too much. No more time consuming calculations with forecasts, current stock levels, and supplier lead times. Drill down to see the underlying demand patterns and order quantity calculations so you can be confident in the predictions and ordering the right amount. Plan how much inventory your need to order to each of your stores or warehouses.